SREE NARAYANA NURSING COLLEGE offers four-year undergraduate degree course leading to B.Sc., Nursing and PBBSC nursing 2ydc. 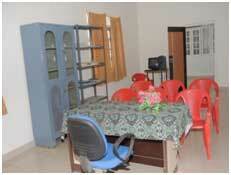 The courses are affiliated to Dr. NTR University of Health Sciences and recognized by Indian Nursing Council. The college offers world class infrastructure, unparalleled technical expertise, a diligent faculty and above all a stimulating environment for students to pursue their studies and acquire hands-on training under the guidance of senior faculties of nursing and at Narayana Super Specialty Centre. At SREE NARAYANA NURSING COLLEGE, nursing students are provided comprehensive education, both theoretical and practical, designed to sharpen critical thinking skills, stimulate scientific inquiry, develop effective practice and cultivate qualities of compassion and caring, fully integrating theoretical learning with clinical experiences within a caring environment. The healthcare delivery system demands sophisticated, competent professionals with a background that enables them to work in varied settings. At SREE NARAYANA NURSING COLLEGE, students gain excellent academic exposure through various continuing nursing education programmes, conferences, workshops, an exhaustive library and visits of eminent personalities. Further, they have multi dimensional health centre and Emergency care with out patient departments Operating theatres, Intensive care units, Central Sterile supply department etc. Nursing has emerged as one of the most sought-after professions in the world today. No longer are nursing graduates limited to hospital-based inpatient care. Today’s graduates can find abundant opportunities in such fast-expanding areas as Military Nursing, Aeronautic nursing, schools, nursing management, Hospital Administration as well as hospitals and ambulatory care settings. A stint at SREE NARAYANA NURSING COLLEGE will be a perfect launching pad to a bright nursing career with multiple options. We believe that nurses play a vital role in health care delivery system. We provide a dynamic environment that offer, excellent education, world class facilities the spirit to serve community and prepare the nurses as an agent for social change. There is a separate room for Principal Madam. The door will be opened to meets the needs of students and as well as for staff members at any time in the working hours. Our Library is a quiet environment that initiates the individual’s to think understood and gain knowledge through reading the books. Our college library has maximum 3000 books, representing the nursing subjects, number of journals which help to update the knowledge and is also attached with central library. 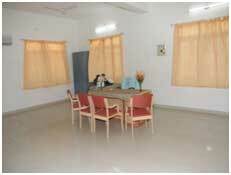 The College has total 6 fully equipped labs with simulators to practice all procedures for proficiency in all specialties. The College has active NSS Unit for preparing nurses as a changing agent. The SNA unit has actively participating in cultural, sports and competing in National level conferences.